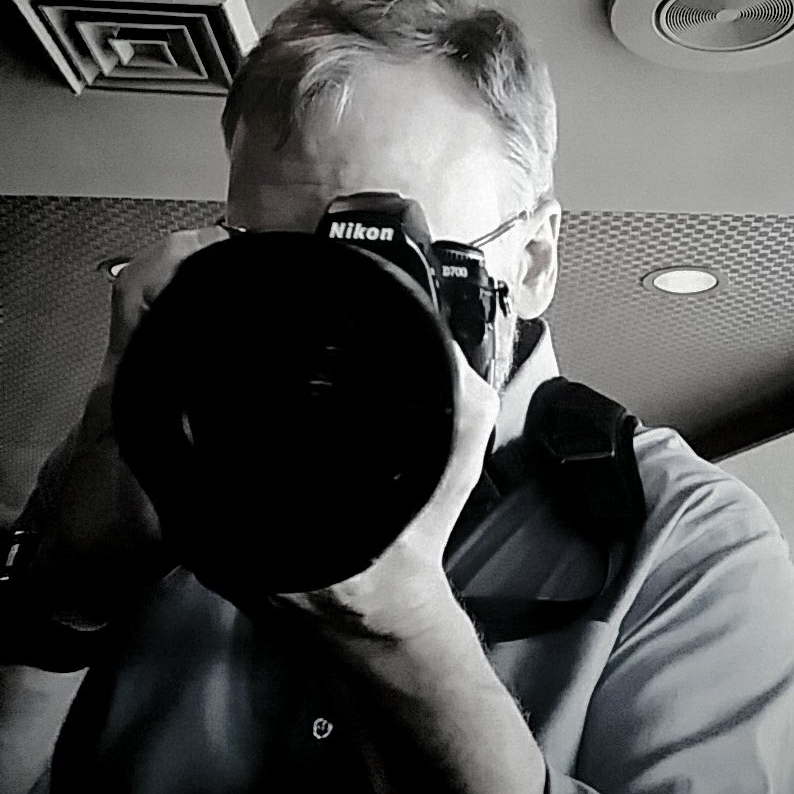 Our CEO, John Feldcamp, is an accomplished event photographer and often contributes his work to market research events Babbletype attends. This page is arranged in sections alphabetically by event organizer. Contact us at transcription@Babbletype.com if you would like copies of any specific shots. Some of the events below are joint events with other market-research oriented organizations including the American Marketing Association (AMA) and the Pharmaceutical Market Research Group (PMRG). This first ever joint event combining the New England, Greater New York and Philadelphia Chapters of the Insights Association was held at the Convene Conference Center a few blocks from Grand Central Station in New York City. Kathryn Korostoff from Rockstar Research and Nicole Mitchell from RN/SSI both discussed difference aspects of the new world of Big Data; Glenn Kessler (HCD Research) and Bob Granito (IVP) presented current opportunities for the application of neuroscience to qualitative research; Adriana Waterson (Horowitz Research) discussed best practices for multi-cultural research; Ted Donnelly (Baltimore Research) presented results from a study on how Millennials view healthcare Jeff Buzulencia from Remesh discussed the brave new world of the application of artificial intelligence to market research projects. The evening reception was held Stout NYC. Another excellent conference in a very pleasant New Orleans. Beignets and really excellent food certainly flowed freely. Drinks as well, we suspect, although this is pure theory. Since we did not partake, all we had to go on was the number of late risers and pained looks in the mornings. Sponsored by Blueberry, and the Institute for Sensory Research, the event featured Dr. Maureen Morrin of the Fox School of Business, who presented How Sensory Input Impacts Buyer Behavior, a remarkable look at how sensory inputs we never think about — smells, sounds — impact our decision making. The event was organized by Mary Conran. Now this was something. Sponsored by Kinesis and Instantly, the event took place in an outdoor tent at a rooftop bar in New York City, and included an actual red carpet for attendees to have their pictures taken on. The humidity had to be 100%, but everyone had a fantastic time. The event was led by Meredith Falvo, who was sworn in as Chapter President. A panel including Jim Multari (Comcast) and Aaron Maass (Maass Media) offered tips for sifting through overwhelming amounts of data to find insights. They discussed tools and techniques, and how traditional market research can lend insight and meaning to analytics. The event was sponsored by Market Connections, Maximum Research, and MSG, and took place inside a meeting space high in the Comcast building that offered beautiful views of the Philadelphia skyline. Organized by Mary Conran of the Fox School, Greg Wester (Mobile Posse) and John Schiela (PMI) presented The Mobile Home Screen, the Next Big Wave in Mobile Advertising. The presentation discussed research findings on why the home screen is valuable and the opportunity it affords wireless carriers, handset OEMs, app developers and advertisers. The New York chapter put on a fantastic event at the Windfall Lounge. The centerpiece was a game based on The Price is Right, challenging contestants on market research industry knowledge. AJ Keirans of Critical Mix MC’d the event. The only downside was that the lounge was as dark as a cavern, so everything is rendered in black and white. Organized by AJ Keirans (then at Reinvention), Danielle Anthony (Radius Global), Natalie Dunn (Schlesinger) and Jason Saylor (Maximum Research), the all-day event was held at Convene in Times Square. Speakers included Alicia Rankin (NFL), Bob Hull (TRC), Mark Truss (J. Walter Thompson), Laurie Tema-Lyn (Practical Imagination Enterprises) and Abby Leafe (New Leafe Research). Angela recalls plotting many guacamole runs for our table with Sandra Bauman, which ended up being our main dinner that night. The event featured some serious and not-so-serious bowling and one very serious bowling shirt. Selfies, selfie sticks and smartwatch face offs were other major points of interest. Double Platinum sponsors included Omnicom Group, Adelphi, Annalecct, Communispace, Hall & Partners, Kiosk, Maslansky & Partners, M/A/R/C Research, Sparks & Honey, TPSi and U30. M3 Global Research and Survey Healthcare sponsored at the Gold level, Decision Resources Group at Silver, and Healogix, Schlesinger Associates, SRI, Think Gen LLC and Verilogue at Bronze. Babbletype provided the photos. Over $10,000 was raised for St. Jude Children’s Research Hospital. The conference took place in a giant concrete hotel and conference center — not a bad thing in a Montreal October. We drove up from Philadelphia through beautiful fall colors all the way. The place was a maze, but the event space was pleasant and the staff were great. 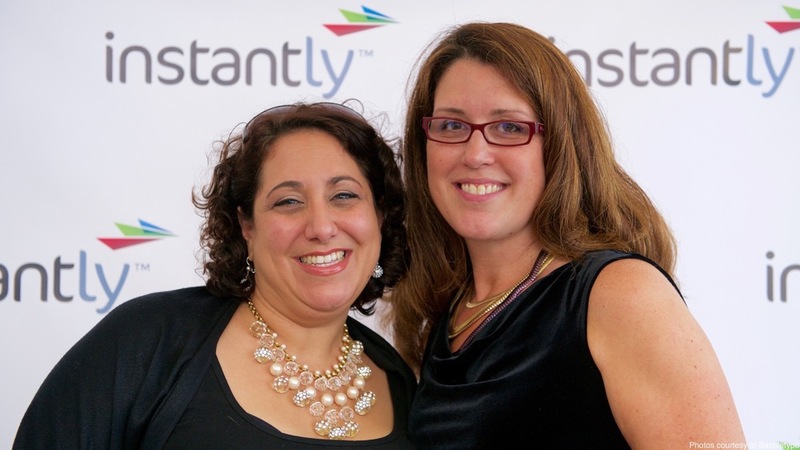 The lightning networking event was a photographic smorgasbord MC'd by angels, which we enjoyed immensely. The venue was immense. It looked like you could run marathons inside and never see the same thing twice. There were enough restaurants inside to populate a small city. On the first evening a band consisting entirely of market researchers played a long set on the event floor. On the second, a conference attendee grabbed John's camera and insisted on a selfie. This was an event very close to home for us — we could drive in each day and home each evening. Four of us attended. The annual cocktail party was a private function at the Franklin Institute, with hundreds of people drinking and talking next to a three-story-high model of the human heart. Susan Thornhill (then QRCA President) was so proud of the dessert bar she dragged John over to photograph it. Angela has spent the last few years planning events for MRA Philadelphia, and can relate. This 2nd Annual event was another home run for Quirks. With a theme of big ideas, real-world solutions, the show sold out, with about 1200 people from the market research industry in attendance. There were 85 educational workshops, 40 hours of learning and 90 exhibitors including Babbletype. The Marriott Brooklyn Bridge continued to be a great venue — if you exclude New York traffic. 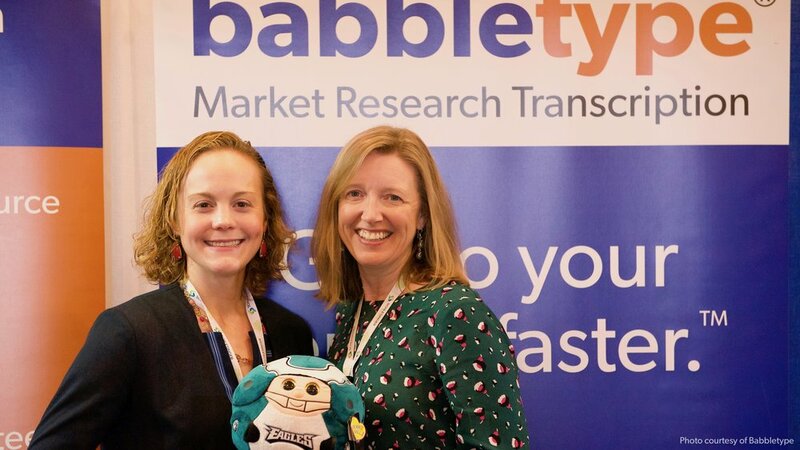 Babbletype gave away an Apple Watch to Phil Wyckoff from Wyckoff Partners, and custom USB drives to Darren Biggs (Telepoll Market Research) and Rebecca Kurlak (Consumer Insights). This was also the only show we can recall to have Chewbacca walking around. One photobomb made it into the finished set — see if you can find him.